Fred Ryckman was born in eastern Canada in 1888. As a youth he moved with his family to the Kootenay region of British Columbia where he remained for the rest of his life, residing first in Creston then in Cranbrook. In 1912 Ryckman began his career with the Department of Indian Affairs serving as a constable in that department. During this period he also served in the position of Indian Farm Instructor. In 1931 Ryckman was promoted to the position of Indian Agent, a post he was to hold until his death in 1935. During the twenty-three years of his employment with the Department of Indian Affairs, Ryckman took an active interest in the language and culture of the people with whom he was working, a fact which is reflected in his papers. 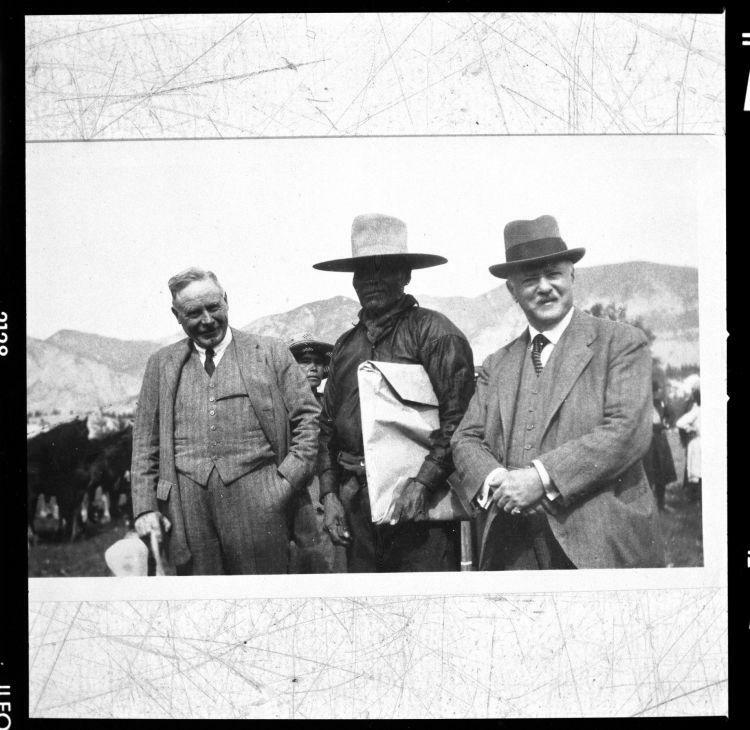 Portrait of three men wearing western clothing. Horses and mountains are visible in the distance. Originals kept by Ryckman family.